British Prime Minister Theresa May yesterday pitched London's stock exchange as the best location for the massive IPO of state oil giant Saudi Aramco next year, a move that comes two weeks after President Trump publicly urged the kingdom to select the U.S. for the offering slated for 2018. Why it matters: The international venue selected for the listing will bring huge fees to the exchange that wins the IPO of 5% of the company, which Saudi officials hope will raise tens of billions of dollars to help fund the kingdom's economic diversification and modernization efforts. Making her case: "I think London is extremely well placed, not only from its importance as an international financial centre, also technically well placed in relation to Aramco," she told reporters just ahead of her visit with top Saudi officials in Riyadh, according to the Mirror. 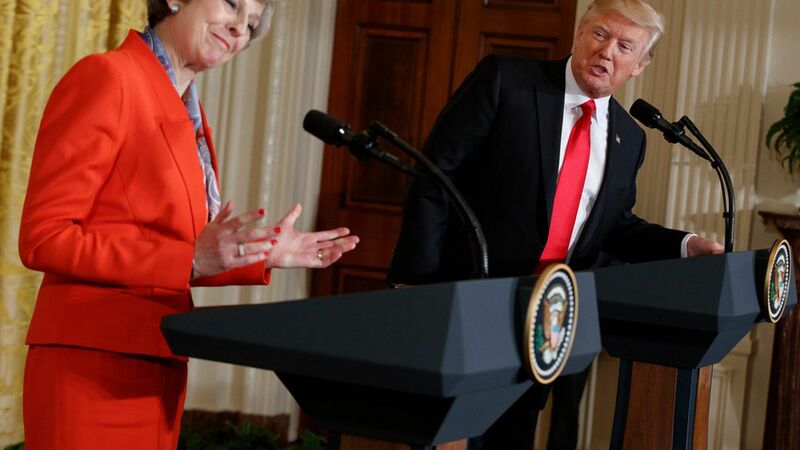 The outcome of the very public courtships — not to mention behind-the-scenes appeals — also carry geopolitical ramifications, forcing the Saudi rulers to make a choice between the U.S. and the U.K. (or perhaps another venue like Hong Kong) at a time of tensions between Trump and May. Separately: Yesterday May rebuked Trump for retweeting anti-Muslim hate videos from British far-right leader Jayda Fransen.